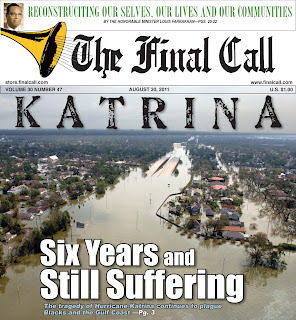 (FinalCall.com) - Shenita Bell-Victor and her family still have vivid memories of losing everything after floodwaters ripped through their hometown of New Orleans. However, six years later, she says they have successfully settled into their new life in Houston. “Katrina crosses my mind pretty often. It was sad that it happened and it is hard to totally forget. My mother lost everything. We lost everything too. It was rough but we have been blessed to get back just about everything we lost. We're happy here in Houston and love it,” Mrs. Bell-Victor told The Final Call. Prior to Katrina, Mrs. Bell-Victor's family owned a home in the Gentilley area. Just before their lives took a surprising turn for the worst, Mrs. Bell-Victor had quit her 11-year position at a local Casino to start a career in banking. Her husband worked as a barber. They were five months into their new marriage with a 6-year-old son, and a three-month-old baby. “The day after the flooding we went to go stay at the W Hotel in New Orleans where one of my relatives worked. The next day we left for Houston with pampers for the baby and a few clothes. We returned to New Orleans the next month in October and discovered that we had lost everything we owned. It was devastating,” said Mrs. Bell-Victor, who is now a head bank teller. Her family lives in their new home in North Houston and they rarely go back to the Crescent City. “It's been a while since I've been back but my husband and mother went there recently. They say nothing much has changed there in terms of the rebuilding efforts, so we're very happy to be where we are now,” she said. According to his office, New Orleans Mayor Mitch Landrieu is not planning to host any Katrina commemoration activities this year—something that had become city tradition. “I would be lying if I said I don't think about Katrina but I no longer use it as a crutch. Three years after the storm I found myself still fighting with FEMA and waiting on the government. Well, I decided to just move on and make something happen for my family,” said Brandon Smith, who evacuated from New Orleans to Austin with his wife and three sons. “I lost everything too but gained everything back and more. It took a lot of hard work and we cried a lot of nights. Now God has blessed us to recover without the government's help. I pray that one day all Katrina survivors can fully bounce back but our ‘hoods were in disarray before the flood,” said Mr. Smith, who works two jobs. “My people in New Orleans will never be able to forget Katrina, no matter how hard we try. It changed the landscape of our city forever. But we aren't sitting around dwelling on it. Life goes on. 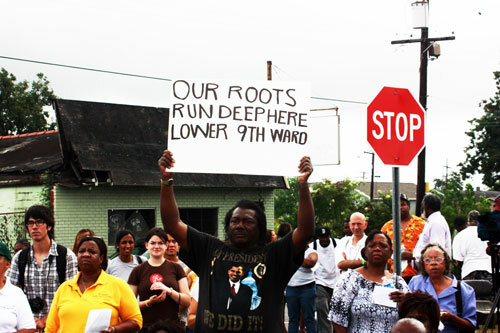 And the battle continues,” said Dee-1, a New Orleans-based rapper. “Six years after the hurricane, I still know people who have not had the money or assistance needed to be able to rebuild their houses. Some people's neighborhoods were just left in ruins. The key for our people is to know that no obstacle is too great to overcome. So, bouncing back better than ever needs to be everyone's goal,” said Dee-1, who tours the world performing positive music to show the bright side of his city. The landfall wrath of Hurricane Katrina coupled with the breaching of the levees on August 29, 2005 caused hundreds of thousands to be displaced throughout the country and claimed the lives of over 1,400 people. It was recorded as the costliest natural disaster, as well as one of the five deadliest hurricanes, on United States soil. “I think that with our short attention span in this country, Katrina has faded for many. But I do think those images are still alive for some. For example, the young people who came and volunteered,” said activist and author Jordan Flaherty. The combination of Katrina and Hurricane Rita caused billions in damages to Louisiana and Mississippi as images of floating dead bodies, crying babies, torn homes, and stranded citizens screaming for help drew world attention to the Gulf Coast. Federal, state and city government officials came under fire, especially former President George W. Bush and former New Orleans Mayor C. Ray Nagin. “I don't think the U.S. is better prepared for another disaster like Katrina. Katrina was like nothing that had ever happened before. Then after the storm, I got into a huge battle on how to rebuild the city. 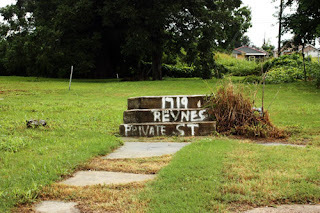 Some wanted to gentrify it and some wanted to keep people out,” Mr. Nagin told The Final Call. “We in America have a fast food mentality. Everyone wanted to see New Orleans restored immediately. If you study research and research history, it takes ten to fifteen years to recover from a disaster like this. So there is a lot of frustration in this city. If you look at the facts, New Orleans is well on its way to being fully recovered. We're only approaching year six right now,” said Mr. Nagin, who released the book “Katrina's Secrets” which documents his experiences leading up to and following the storm. “Those who had the least before Katrina, have even less now. The issues of housing, health and jobs have plagued the Black community since Katrina and has not improved these last six years,” said Dr. Mtangulizi Sanyika, a retired Dillard University professor now residing in Houston. “To some degree, loss is always traumatic. However, I feel that the further we move away from 2005 the more it seems that people understand that the hurricane happened, people helped, but it's time for us to move forward,” said Student Minister Willie Muhammad.